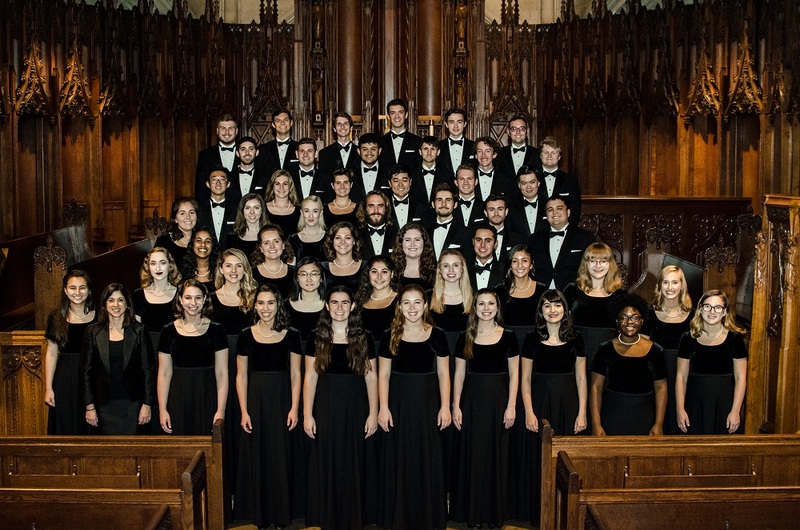 Three outstanding high school chamber choirs join the Heinz Chapel Choir for a celebration of a cappella singing.This year's guests include State College High School Chamber Singers (Erik Clayton, director), Bishop McDevitt High School Chorale (Chad Reed, director), and Mt. Lebanon High School Chamber Choir (EthanLaPlaca, director). Music educators Dr. Susan Medley (Washington and Jefferson College) and Prof. Melanie Vaccari (Waynesburg University) will provide comments for each ensemble. The program is free and open to the public and will include performances from the three guest choirs and the Heinz Chapel Choir. Easter Sunrise Service at Heinz Chapel conducted by Cornerstone Christian Ministry. Frequent collaborators and active champions of new music, organist Buck McDaniel and tenor Matthew Jones perform excerpts from Philip Glass’s portrait trilogy of operas. Heinz Chapel Choir celebrates its 80th Anniversary with the premiere performance of a work they commissioned to honor the legacy of the late John Goldsmith. Heinz Memorial Chapel is a non-sectarian chapel on the University of Pittsburgh campus, a gift to the university from Henry John Heinz.